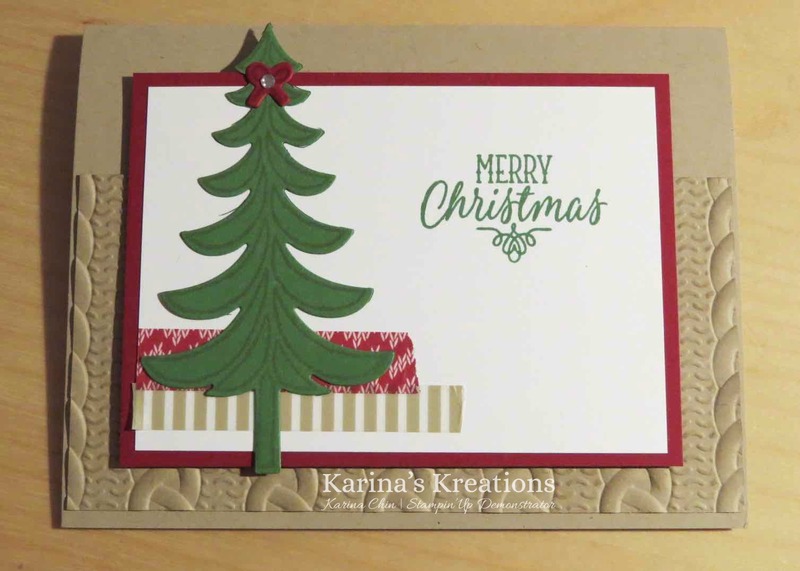 Karina's Kreations: Stampin'Up Santa's Sleigh! 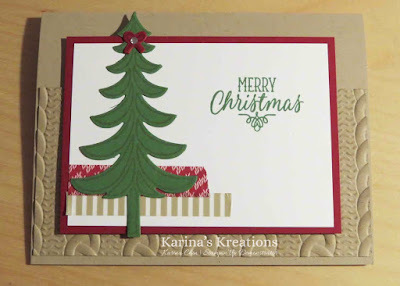 We're making this cute card at my Christmas card stamp a stack this Sunday at 1:00. Email me at kchin2@telus.net if you would like to come. This cute card is made with the Santa's Sleigh stamp set #142057 and Santa's Sleigh Thinlits die 140278. The background used the Cable Knit Dynamic embossing folder #143537.